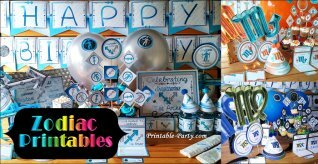 Printable party supplies reviews & testimonials from visitors who've placed orders with us. 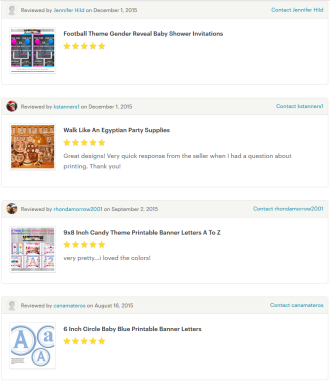 Write or read reviews of purchased printables. 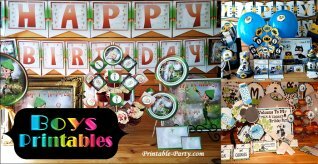 You can also share your party & how you decorated along with photos. Leave your own review below. Vanessa - Great!!! Perfect your business is gonna have a very good recommendation from my part... thanks so much. 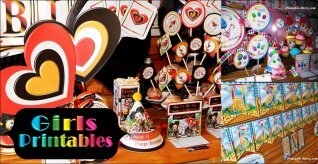 Danny - First of all, For a hostess your website is the best I've seen & very organized. 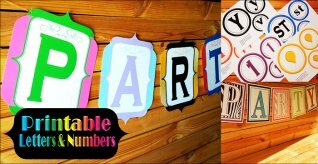 This site has just about everything I need to get the look I wanted. I keep checking back for goodies & you always seem to be coming up with plenty more new ideas. THANK YOU! I'm so happy I made placed an order the first time I did & I'll be visiting back often for more. 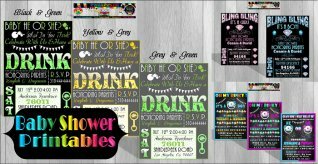 Valencia - I purchased your zebra baby shower printables in yellow. I was very hesitant to make a purchase at first, but it most certainly saved me hours of my time, money, and lots of stress. I could go on forever, but I'm sure you get thousands of emails with the express of similar gratitude. Thank you so much for creating products that are so different, I've never seen anything like them.